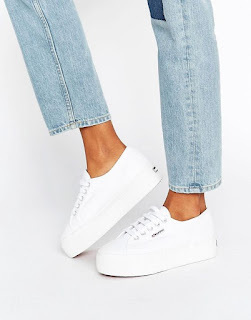 Every girl and guy secretly enjoys searching the web for new clothing, shoes and accessories and who can blame them when being in school or a uni student can get you such great deals! So, here are a few of my favourite trends at the moment which I desperately need to get my hands on. 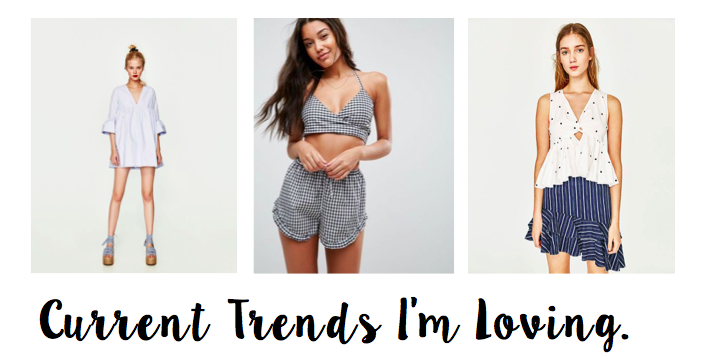 Gingham has got to be one of the biggest trends I've seen in the past couple of months, featuring in shops such as H&M, Topshop, Primark and many more. 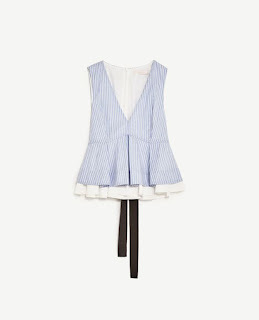 As summer finally rolls around why not pull out of your wardrobe the not so ordinary black and white number. Gingham of course comes in all different colours and styles, however these are two of my favourite pieces that I think could be worn in a variety of different ways. 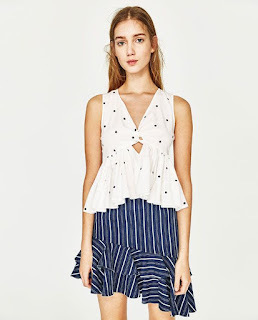 Not only are they incredibly wearable but prints like these can make a simple outfit look like you've spent hours choosing it, which I'm all for as I'm definitely lazy when it comes to picking outfits. 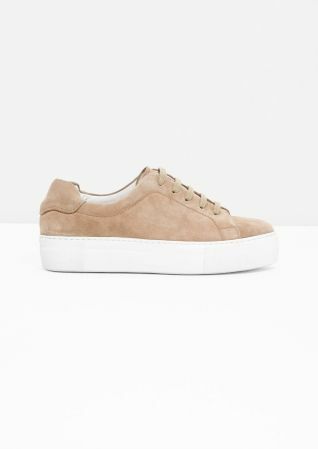 I've spent months on end looking online at Zara's website and I've probably looked at each of these pieces about a thousand times, but as I'm a student sadly I can't afford to buy them all at once...not just yet anyway. 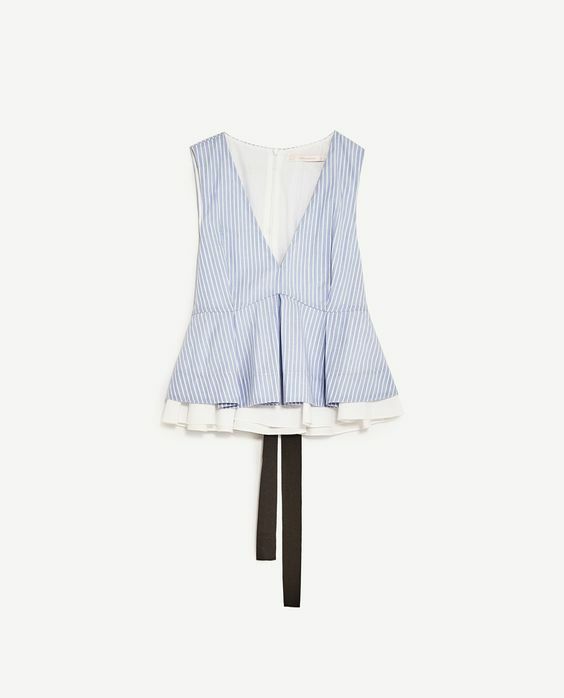 I love the look of frilled tops and ruffled sleeves for summer as its so girly, feminine and can be worn with anything from a skirt to a pair of your favourite black jeans. It also allows any outfit to look sophisticated and classy, especially for anything like a job interview or an important day out. 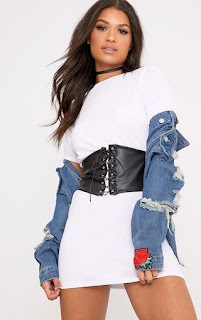 As many of you know this trend was made popular by the Kardashians and Jenner's, I never thought I'd end up liking this trend but after seeing it on a range of people I think its incredibly flattering and cute looking as either a top or a dress. 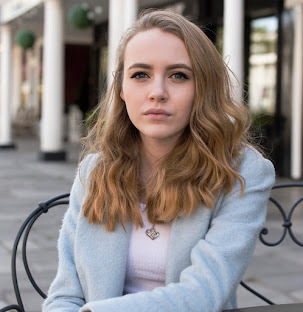 I'm in love with the outfit above as I like the way it looks so casual with a distressed denim jacket, however it still looks really unique and out there. 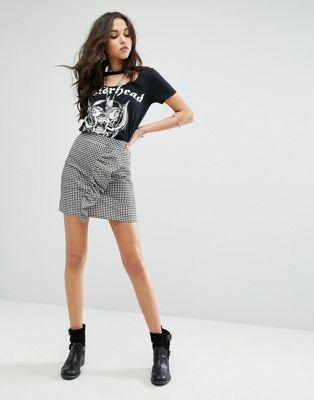 I would personally choose to wear an outfit like this with over the knee boots, to bring out the Kardashian/Jenner style, as you know how much they love anything over the knee. Now I've got a story behind this one, when I spent the day in London a couple of weeks ago I saw a girl sat in the park with the cutest outfit on and a pair of platform trainers and I immediately had a bit of outfit envy. Shoes like these are not something I'd usually look at but after seeing her in them it opened my eyes to how pretty they actually are. Platform shoes have been around for a while and come in all different styles. For example, heels, sandals and trainers. However, I love these two pairs as they don't scream platform but look wearable and stylish.